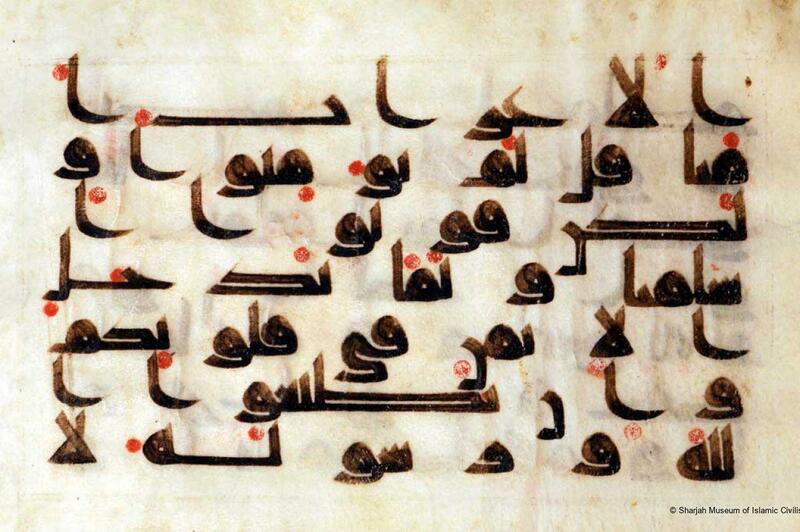 This horizontal parchment Qur’an page shows a bold, majestic black kufic script with red vowel markers, arranged over seven lines. 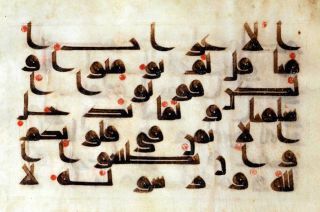 It originally formed part of a manuscript executed possibly in Iraq or Syria during the AH 4th century / AD 10th century. The fragment gives verse 14 from chapter 49 Al-Hujurat ("The Dwellings") of the Holy Qur’an.